On July 11, 2014, USCIS released new guidance on adjudication of H-1B petitions for nursing occupations, which superseded the previous USCIS Memorandum of Johnny Williams, INS Office of Field Operations, Guidance on Adjudication of H-1B Petitions filed on Behalf of Nurses, HQISD 70/6.2.8-P (November 27, 2002). New USCIS guidance has the “Policy” designation, which means that it has to be followed by USCIS adjudicators. Below is the summary of the most important points of the new guidance. 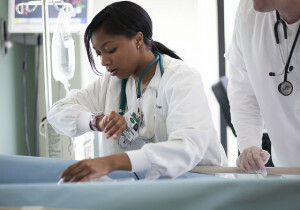 Most registered nurse positions do not qualify for H-1B because they do not normally require a U.S. Bachelor’s or higher degree in nursing as the minimum requirement for entry into the particular positions. Advanced practice registered nurse (APRN) positions normally qualify for H-1B because they require a bachelor’s degree in a specific specialty as the minimum for entry into the occupation. This is because the job duties of APRN also include many additional functions that RNs do not normally perform, such as for example ordering and evaluating test results, referring patients to specialists, and diagnosing and treating ailments. APRNs utilize extended and expanded skills, experience and knowledge in assessment, planning, implementation, diagnosis and evaluation of care required. APRNs focus on patient-centered care, which means understanding a patient’s concerns and lifestyle before choosing a course of action. If a state requires at least a bachelor’s degree in nursing to obtain a nursing license, an RN position in that state would generally qualify for H-1B – at this time, no state requires a bachelor’s degree in nursing for licensure. However, state licensure requirements are subject to change. The nature of the duties [is] so specialized and complex that the knowledge required to perform the duties is usually associated with the attainment of a baccalaureate or higher degree. Wage rate relative to others in the occupation – if the wage rate is significantly higher than for other RNs, it shows the increased level of responsibility. Administrative Nurse Positions – can they qualify for H-1B? The new Policy Guidance makes no direct mention of Charge Nurses and nurses in other administrative capacities, leaving it unclear whether they can still qualify for H-1B visa. The only notation applicable to nurse managers can be found when the guidance talks about Magnet Recognition program. In footnote 9 to the Policy memo, USCIS states that “as of January 1, 2013, 100% of nurse managers of individual units/wards/clinics must have at least a baccalaureate degree in nursing upon submission of the Magnet application.” Thus, it seems like USCIS will consider the facts of each case to determine whether the particular position of charge nurse or nurse manager qualifies as a specialty occupation worthy of H-1B visa. Previous USCIS guidance of 2002, on the other hand, specifically mentioned that nurses in administrative positions, such as an upper-level “nurse manager” in a hospital administration position, could qualify for H-1B. If you are considering filing an H-1B petition for a nurse, our office can help you determine if the particular position could qualify for H-1B and can help you with the entire H-1B process.